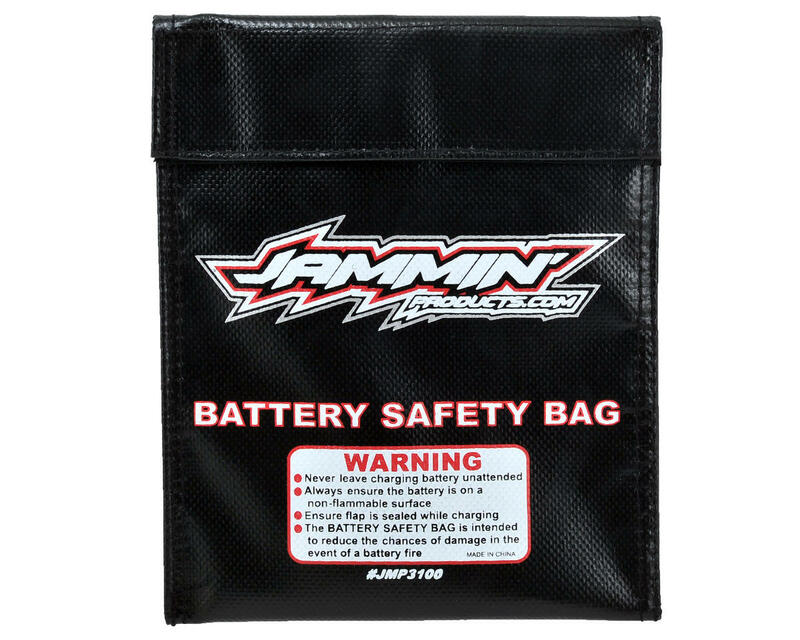 This is the Jammin Products LiPo Battery Safty Bag. This nine by seven and a half inch Jammin' Products Battery “Safety Bag” is constructed from a high quality flame-resistant material which reduces the risk of fire damage and physical injury while charging and discharging your batteries. 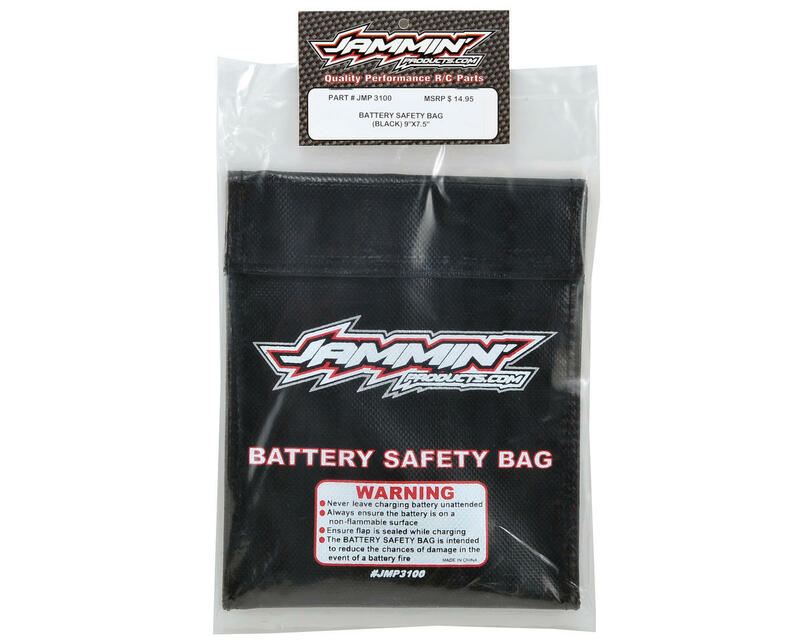 Most tracks, clubs and sanctioned events require the use of a battery safety bag. There is still a slight chance of fire while using any safety bag, so always charge your batteries according to the manufactures instructions, in a non-flammable, ventilated environment and never leave your batteries unattended while charging. Bought 2 Bags straight from the jamminproducts.com website . Best priced bag! Quality is Perfect. super easy to use on all my packs even with balance leads and charger wires. Better quality than some of the other bags I have seen at the track (uses a really nice Velcro Flap . Highly recommended.